I was bitten by the travel bug at a very young age. My first overseas trip was at age 7 (to Hong Kong) and the tally now stands at 88 countries (as at January 2019) across six continents. That equals quite a few terabytes of memory I guess! The breadth and depth of the travel memories I’ve amassed through the years have been amazing and I cherish them more than anything (well, almost!). From sailing around the Whitsunday Islands in Australia to hiking around the lunar landscapes of the Atacama desert, swimming with sharks in Malaysia, meeting the world’s greatest chef, floating in a frozen lake in Finnish Lapland or witnessing a breathtaking sunset at Ipanema Beach in Rio de Janeiro. This photo brings back many fond memories. It was taken during the first leg (Amsterdam to Hong Kong) of my five-month round-the-world trip in 2008 as the plane flew past the coast of Estonia. I’ve called this photo “The Moment” because it symbolises the start of a life-changing journey that began in 2008 and which led me onto a new and exciting path as a travel blogger. Read about the trip that changed my life. 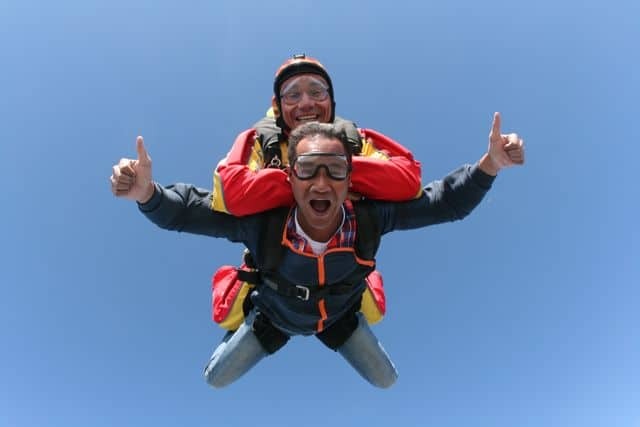 Read about my skydive in Costa Brava. Read about my adventures in the Whitsunday Islands. 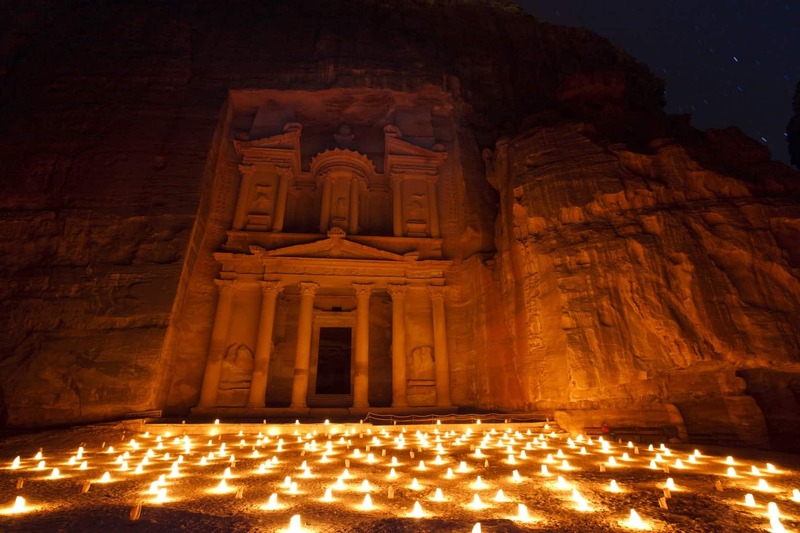 Read about my mesmerising visit to Petra at night. Check out my photos of Rio de Janeiro. Read about my ice-floating experience in Finnish Lapland. 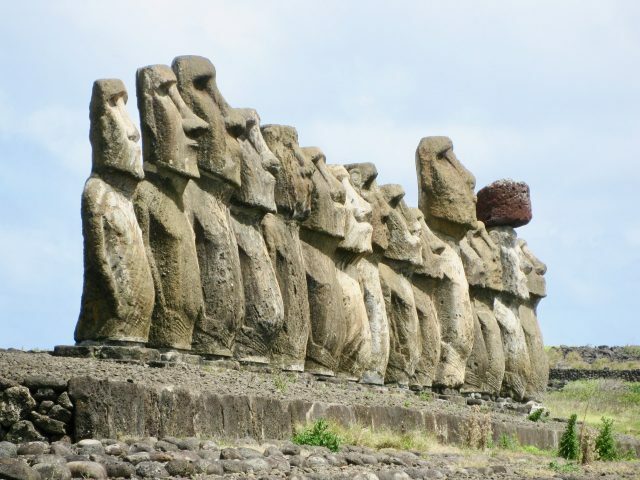 Read about the Mysteries of Easter Island. 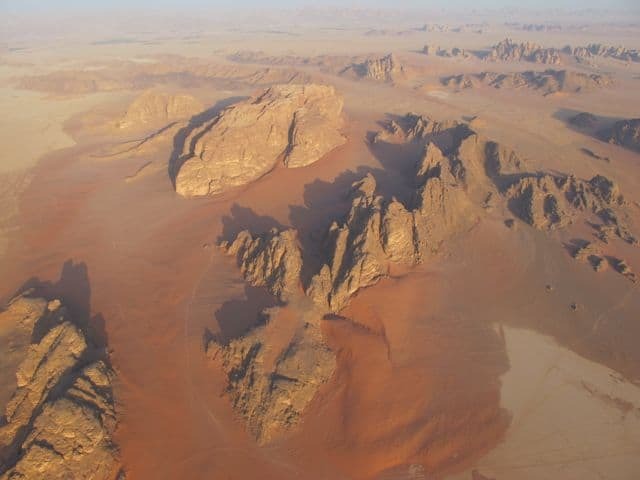 Read about my hot-air balloon flight over Wadi Rum. 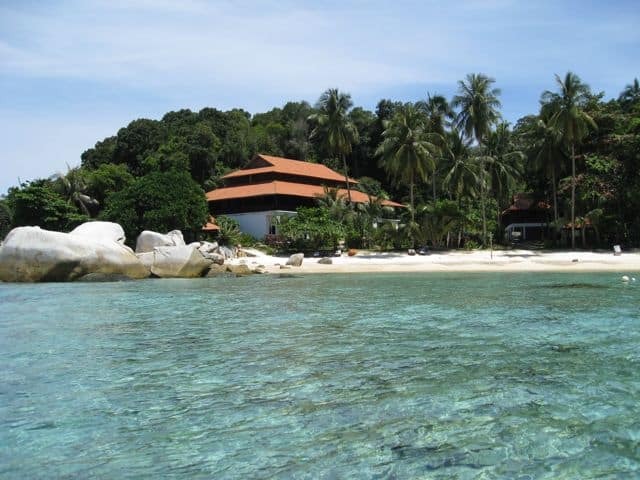 Read about my trip to Lang Tengah island. Read about my trip to the Atacama Desert. Read about my meeting with Ferran Adria. 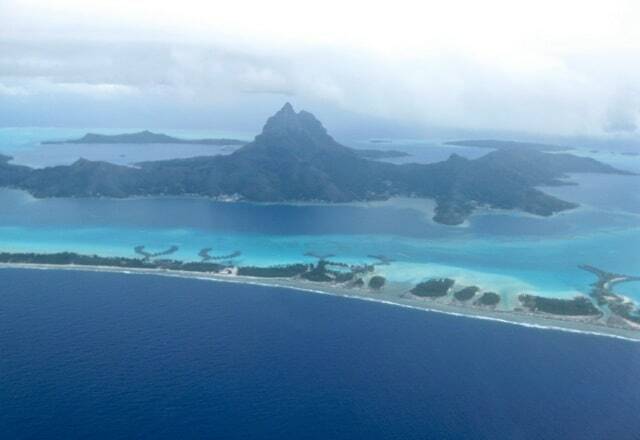 Read about my stay in Bora Bora. See my photos of this helicopter tour in Mauritius and read about things to do in Mauritius. 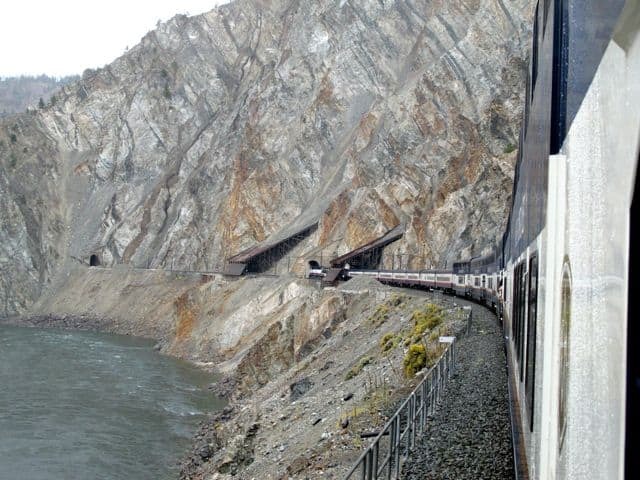 Read about crossing the Andes by boat. The pilot circled around Table Bay and we could see Robben Island, before heading south along Green Point. The views of Cape Town were awe-inspiring! I was speechless! 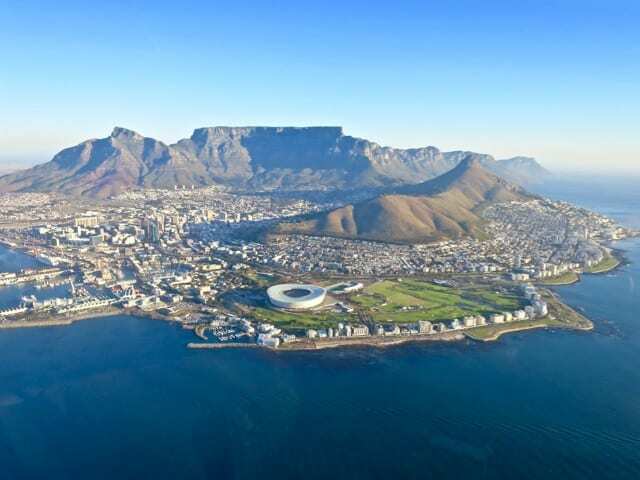 Read about my helicopter tour of Cape Town and things to do in Cape Town. Read about my trip on the Rocky Mountaineer. Read about my Galapagos Islands cruise. Read about my experience floating in the Dead Sea. Read about my trip to Angkor Wat. 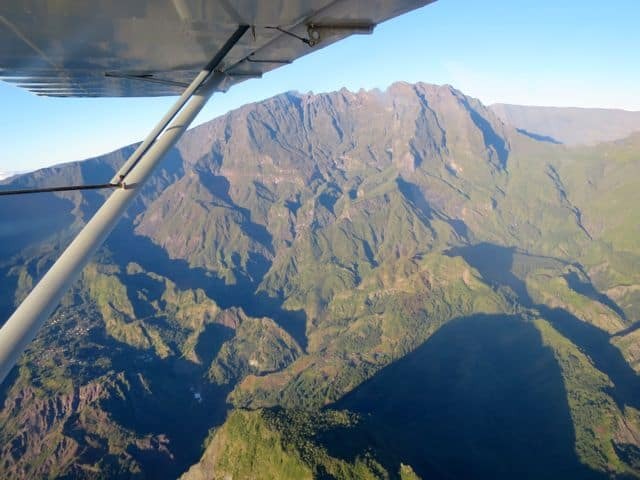 Read about my flight over Reunion Island or things to do in Reunion Island. 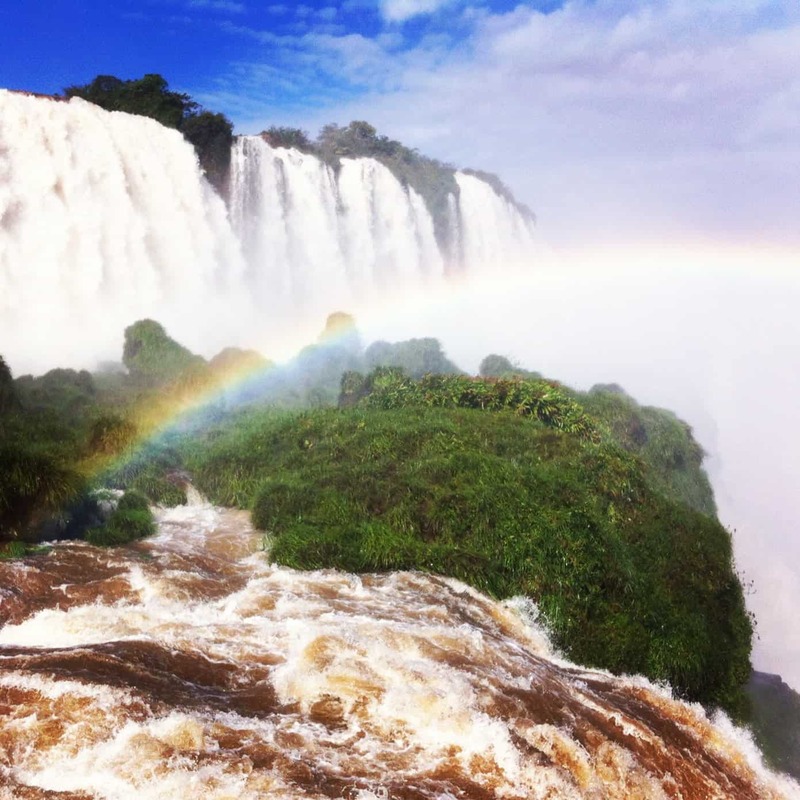 Read about my visit to the Iguazu Falls and things to do at Iguazu Falls. Read about my trip to Patagonia. 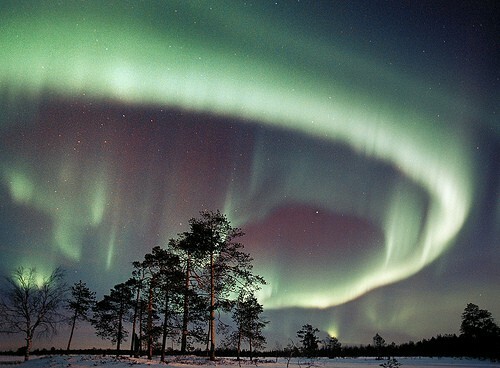 Read about my Northern Lights experience. Blending my very own wine at Middelvlei Wines in Stellenbosch. “Ben and Jeanneret tasted it and nodded their heads in agreement – this wine is classy! I beamed from ear-to-ear! 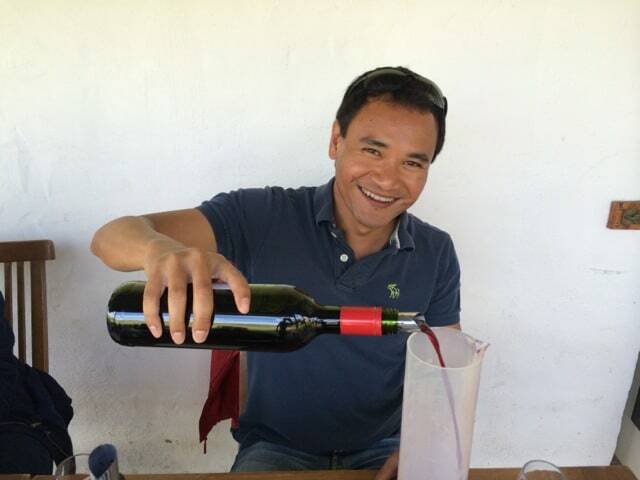 Read about how I created my own wine. Read about things to do in Ravenna. Read about my visit to the Victoria Falls. 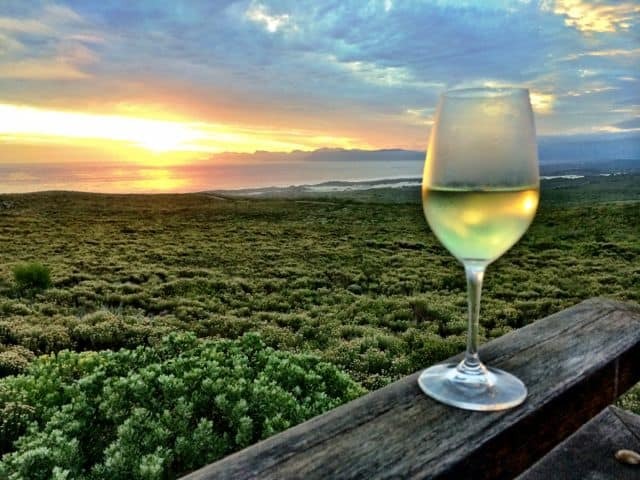 Read about my visit to Grootbos. 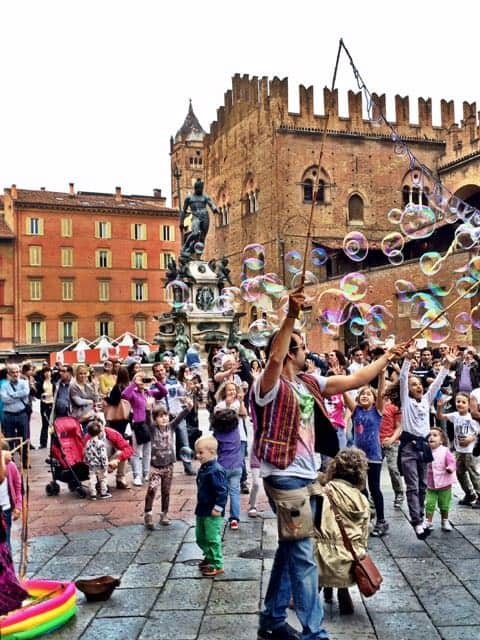 Read about Sundays in Bologna and things to do in Bologna. Read about Sundays in San Telmo. Read about my Zambezi Queen cruise. 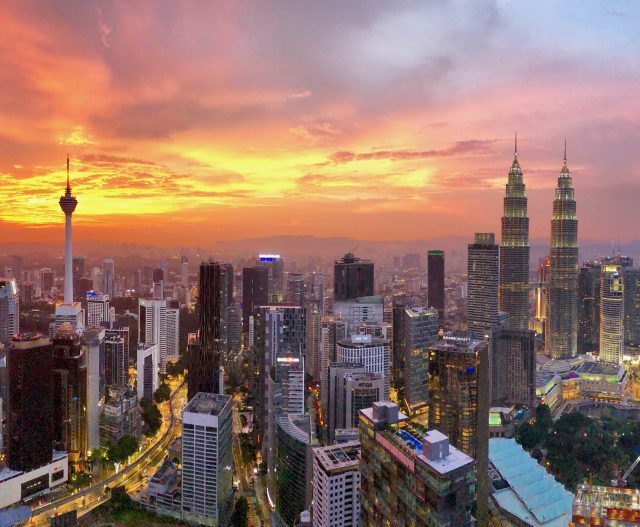 Read about my visit to Vertigo Bar in Kuala Lumpur. 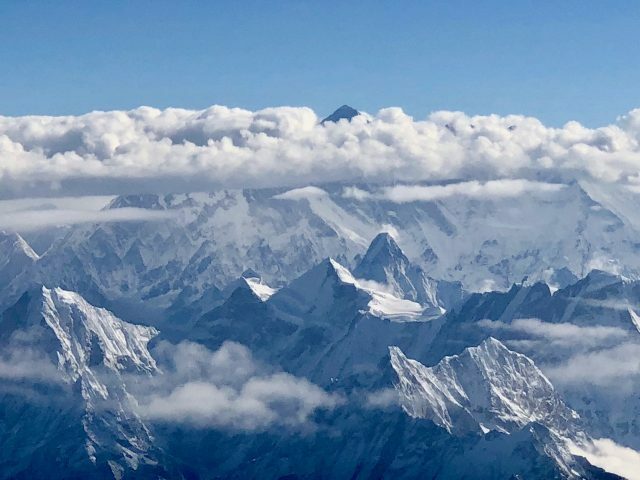 Read about my flight to Everest. 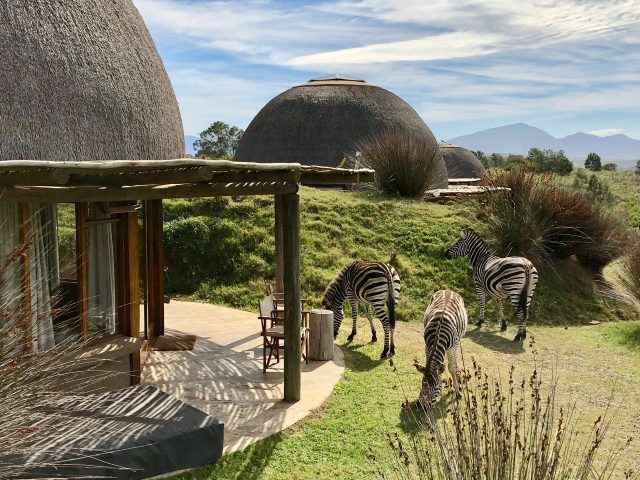 Read about my stay at Gondwana Game Reserve in South Africa. 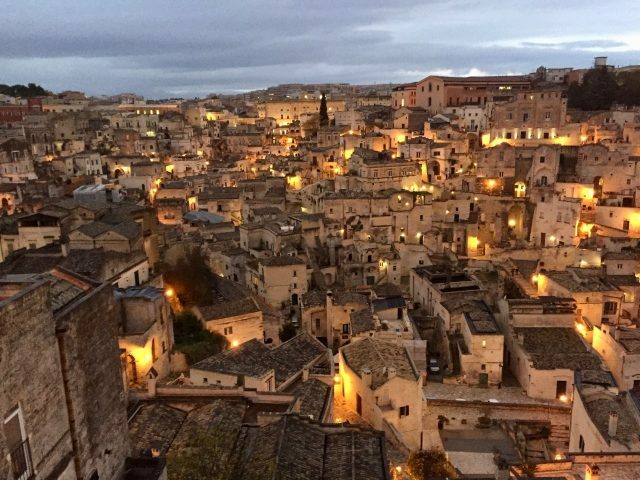 Read about my visit to Matera. Read about my short stay in Monaco. Read about my Moscato di Scanzo wine-tasting. My first ever solo trip, at age 14, from Sydney to Melbourne. It was my first big travel adventure, one which I will never forget! This photo was taken in Canberra. And finally, my first European solo trip – to London, and you have to pose with a bobby on your first London trip! I was 19 at this point. I hope you enjoyed this selection of some of my favourite travel memories. What are your fondest travel memories? Related: A Celebration of Friendships. It was an impressive collection of memories and destinations, Keith! I’m looking at your photos and getting some inspiration for places and want to visit. What a great story and fantastic memories. The ice-floating experience was incredible. Thanks for your comment! The ice floating experience is simply amazing. Loved the way your narrated. Have an amazing year ahead. So inspiring to read about your wonderful travel adventures. It gives travellers a glimpse of what to expect. I hope to see you soon in Rwanda, an amazing country with lush green landscapes & incredible wildlife. Oh my goodness! How do you afford such extravagant travels? The ice pool looks so cold!!!! A great collection of photos and memories! I’m so jealous that you got to hold a koala! Asia has been a dream destination of mine and last fall, I did it! I went to China, including Hong Kong. What a breathtaking city. It was an incredible trip. We went to Beijing, Shanghai, Xi’an before Hong Kong. I loved it. The pollution is bad but the sights, the food, the people were all wonderful. I felt so energetic! Wow, its amazing how you travel a lot. I visited about 16 countries and i see that i have a long way to go. But, its awesome that we can see good example and helps us to set a goal and motivation. 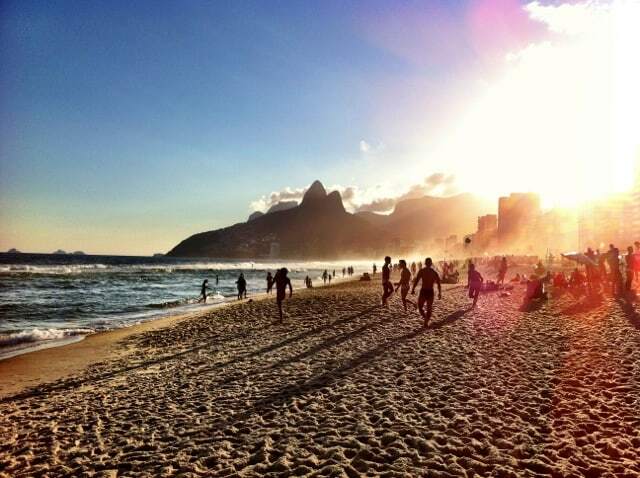 I love that you love Ipanema Beach in Rio, I’m from Rio. Great travel post, Images you share with us are just awesome. I really enjoyed your post. For me this is the best travel post I have ever read. Wow, your comment is a very pleasant surprise! I must’ve been a small child the last time we saw each other. My Mum has often spoken about you fondly through the years. I’m so happy that you found her number and got in touch. That truly is amazing! I hope you’re in good health. Where are you these days? I hope you and my Mum will have the opportunity to meet and catch up. Wow How many trips and experiencies. Congrats. I read your shared memories & got overwhelmed. It’s a very nice article. What a great story and fantastic memories. I love that you put in some of your childhood photos. You looked so cute! Well done! Thanks! Glad you enjoyed the post. 🙂 It was really cool to go through those photos – sometimes, it’s just special to pause and look back. Happy travels! That’s an impressive collection of memories and bucket-list destinations, Keith! 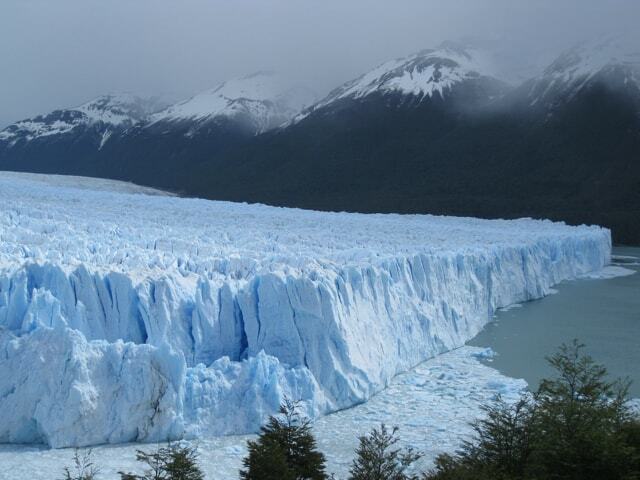 I’m looking at your photos and getting some inspiration for places that I still want to visit – San Pedro de Atacama, the Perito Moreno Glacier, Finnish Lapland in the wintertime…there are so many places still left to see! Awww, thanks Rob! 🙂 Going through these photos sure made me realise how blessed I am, to be able to travel the world and to have such great and supportive friends and family in my life.